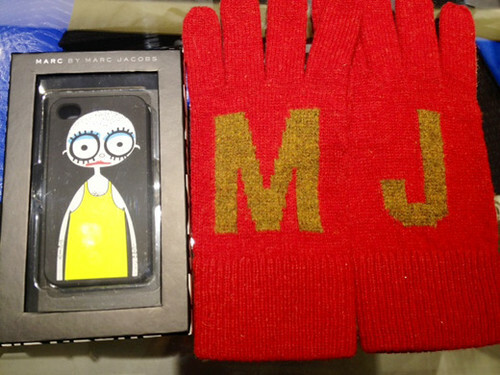 I got classic red wool gloves & Mr Marc 4G iPhone case by marc by marc jacobs for men’s at Hankyu department store in Yurakucho. These stylish red wool gloves keep me stylishly warm and cozy. I love this fun and playful silicone 4G iPhone case with Mr Marc print across the back.